On a sunny day while frost still lay on the ground in early January, we made our first trip of the year. We had two reasons for going: One to meet an eccentric character known affectionately as Jim the Bee and secondly to visit an unmapped circle of stones, which a friend had spotted while out and about. What we did not know at the outset was how the two were inextricably linked. We spent a happy two hours or more in Jim's home drinking tea and talking of the things about which we had a mutual interest. People's bookcases are always a good lead into conversations and in Jim's library we saw a collection very similar to our own. 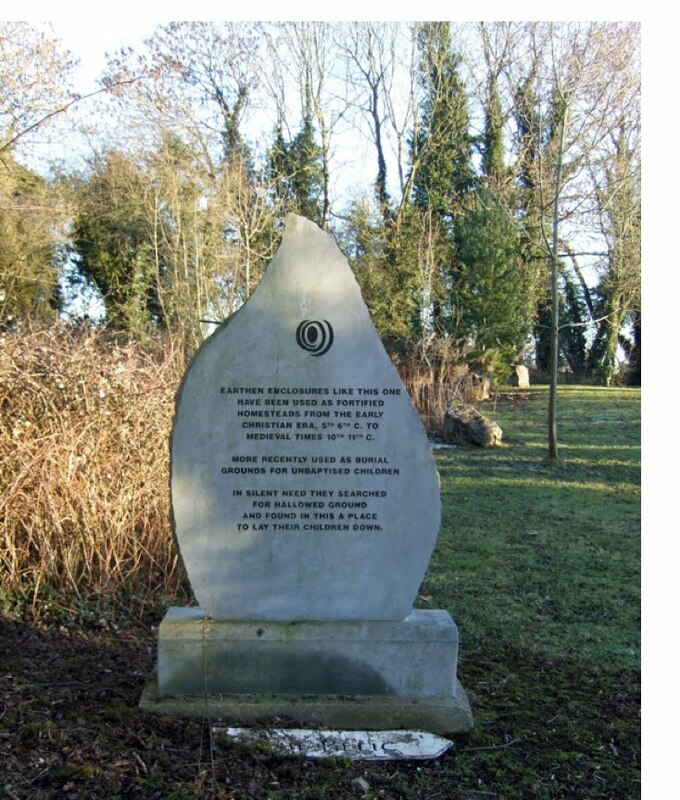 During our conversation the subject of sacred sites cropped up or as archaeologists refer to them 'Sites of Special Interest' which are scattered widely throughout this land. Jim used to work as a supervisor for a government sponsored scheme which brought benefits to his locality in numerous ways via employment and the training of younger persons. This work sometimes included the rebuilding of boundary walls adjoining the roads and the tidying up of overgrown areas. 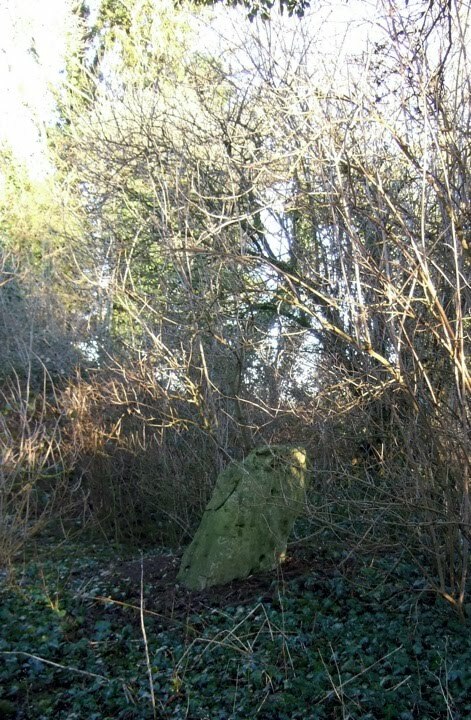 About a couple of miles from Jim's home was a moderately sized Ring Fort, which had become neglected with numerous self seeded trees and brambles etc. It was an ideal place for such a scheme to reclaim for posterity. More was known about this place however: For here was an unofficial burial ground that had been used for generations and right up until recent times, for the internment of unbaptised babies. The Church had denied these special babies burial in the consecrated ground of their cemeteries. 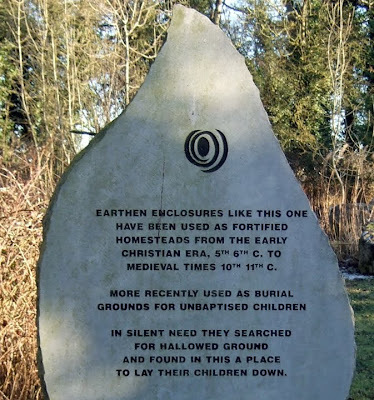 Out of respect for those whose loved one's had been interred in the ring fort Jim created a quiet loving space by collecting and placing several large stones in a circular form. 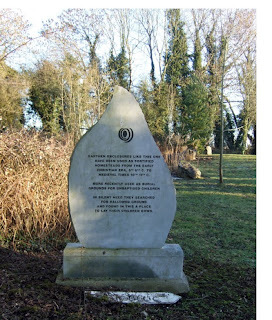 He also had a large stone memorial plaque in the shape of a flame erected within its confines. by the community as a memorial to the unnamed. To me as a pagan All Land is Sacred. had some type of trade or none at all. Today these people still exist: the ones who have cures or easements for a wide variety ailments. As an example there is an ointment which when applied to a severe burn will not only ease the pain but also virtually reduce the scarring to a minimum. a person who has the recipe for a herbal liniment that gives great easement and reduction to haemorrhoids. Even today with the advancement of modern medicine and it's support from the pharmaceutical industry there are people who, given the choice, prefer folk medicine for a variety of reasons. In my own case: Eczema with dry skin has been a problem since birth and although the effects can be lessened by avoiding certain foods, it still lingers and occasionally breaks out on my lower legs and hands. The conventional treatment that doctors and skin specialists prescribe has a cortisone base either as a topical ointment or intravenously. Either method is not a cure, for all it does is to temporarily hide the ailment, only to have it appear elsewhere at a later date. There is also a good chance of cortisone thinning the skin and damaging the liver, because the liver itself actually produces a substance very close to that of cortisone in minute amounts. 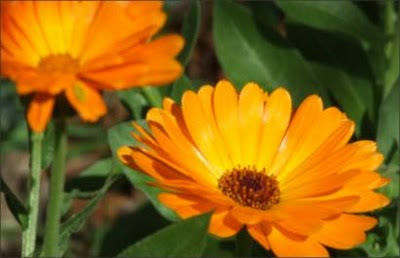 From my own experience Calendula Officinalis (common marigold) is by far the best herbal treatment for my complaint. Obtainable as an oil extract and used in creams, it can be quite costly if you need to use it regularly and liberally thought the winter. For a few years now I have been producing my own cream, by growing that sunny flower the Common Marigold, removing the heads when in full bloom and extracting their oil and mixing it with beeswax and avocado oil. This year I added an extra ingredient of unrefined honey and by passing it through the warm oil, I think that the rapid healing properties of the honey have infused in to the mix. I am very pleased with the results after only a few days of use. 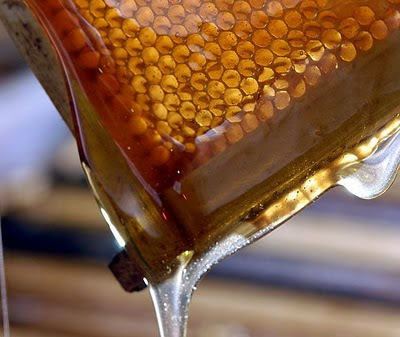 It is used as a folk cure for ulcers by packing honey into the wound and putting cold cream on the surrounding skin. This is a very successful treatment, but not recommended because of the extreme pain! 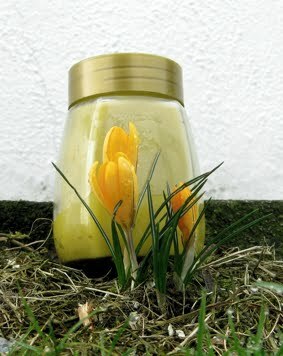 Honey has been used for thousands of years to heal various ailments and Calendula is the same. So this Spring will see me busy in the garden planting this wonderful flower and later in the year visiting our local bee keeper for some honey & beeswax.